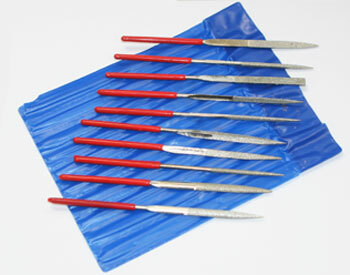 Diamond Point Hand Pads measure 3.5" x 2.25" and come in 60, 120, 200, 400, 1500 and 3000 grit. 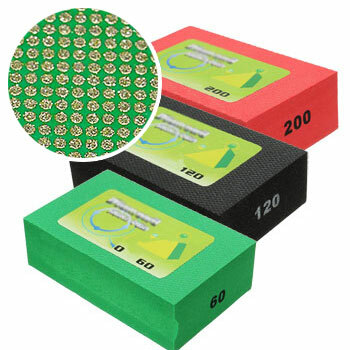 These pads will smooth off high-fired glaze or clay quicker than any other type of sandpaper or abrasive. Use wet or dry. 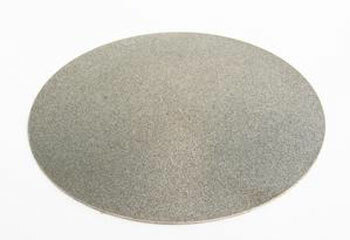 Our Diamond Grit Sanding Discs measure 10" in diameter and come mounted on a 12" bat. They come in 80, 240, 500 and 1500 grit. Use a lower grit to grind away glaze and finer grits to smooth bare clay to a mirror finish. Always add water to prevent dust when grinding and apply light pressure. 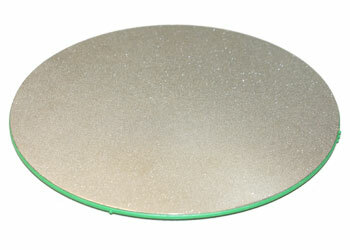 Our Precision HD Diamond Grit Sanding Discs measure 8" and 12" in diameter and have an adhesive backing. They come in 60, 120, and 240 grit. 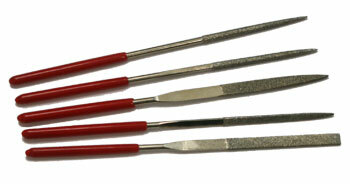 Use a lower grit to grind away glaze and finer grits to smooth bare clay to a mirror finish. Always add water to prevent dust when grinding and apply light pressure. 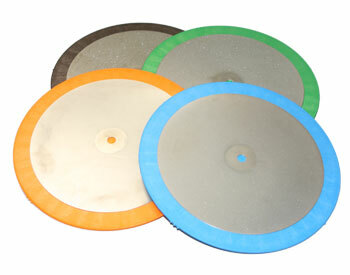 Our Precision HD Diamond Grit Sanding Discs measure 8" and 12" in diameter and come mounted to a bat. They come in 60, 120, and 240 grit. 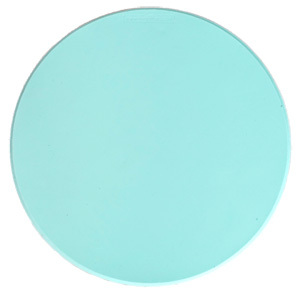 Use a lower grit to grind away glaze and finer grits to smooth bare clay to a mirror finish. Always add water to prevent dust when grinding and apply light pressure. hey will adhere best to a smooth bat or other clean, dry, smooth or glossy surface. 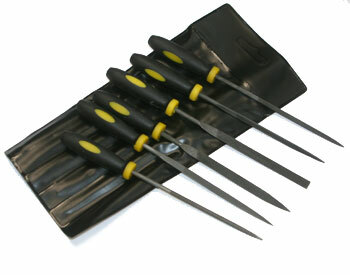 They grip greenware, leatherhard, or bisque for trimming or smoothing without the need for clay lumps. 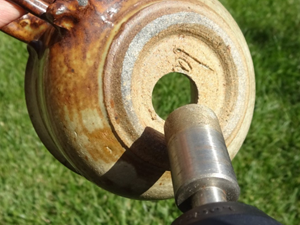 Centering rings can be drawn on the surface with a ballpoint pen (which can be washed off later with soap and water), which allows the thickness to be checked easily and also prevents clay residue on the piece from using clay lumps. NOTE: Do not use for tall, unstable, or out of balance pieces. Do not use with water, use dry only. Always keep downward pressure on the piece when the wheelhead is spinning. 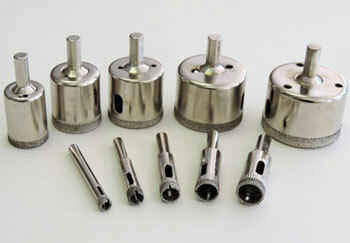 Diamond Hole Drills are made for drilling holes in high-fired clay ceramics, porcelain pots, bisqueware, or glass. Drill holes for salt & pepper shaker plugs, pieces to hang, drain holes for plants, holes in fountains, or sink basins, and much more.